Overall. Barring a few hangups, None of the Regular Rules is an enjoyable story about a girl attempting to discover, for the very first time, what it truly means to live. Before turning to writing full time, Erin worked as a book editor, spent a few months as a cookie inventor, and also worked for Nickelodeon. 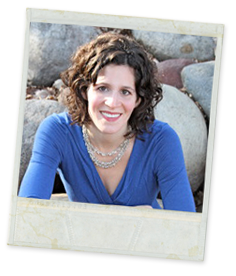 Erin has lived in England, Sweden, and New York City, and now resides in Minneapolis, Minnesota, with her husband and kids. 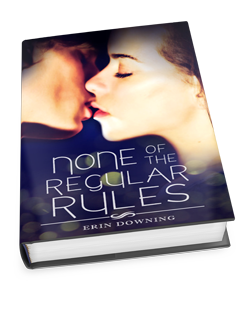 More information about Erin and her books can be found at: www.erindowning.com. Glad that you enjoyed it, Dani! Sounds like in packs quite the emotional punch! I really enjoy books like these! Thanks for being on the tour, muffin! Thanks for having me! And yes, I’ve been enjoying these kinds of books lately. I wasn’t much one for contemporaries until rather recently, and I had been eyeing this one on Amazon for a bit, so when I saw you were hosting a blog tour for it, I was excited to have a legitimate excuse to fit it into the schedule! Glad to see you enjoyed this one! I have it coming up on the pile soon!